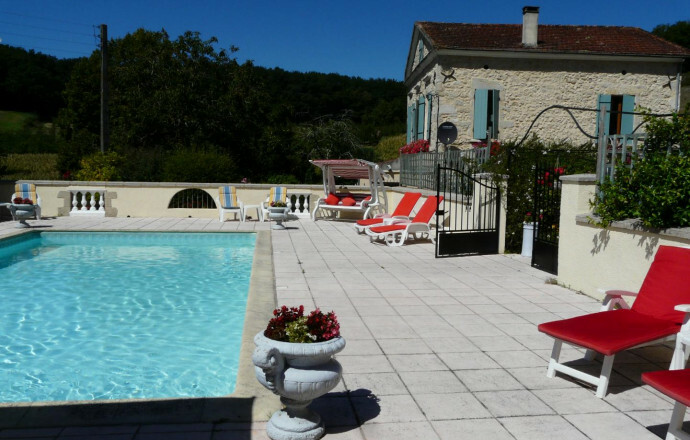 Former farmhouse nestled in a green oasis in the heart of the valley Lot, the geographic centre of Lot-et-Garonne. 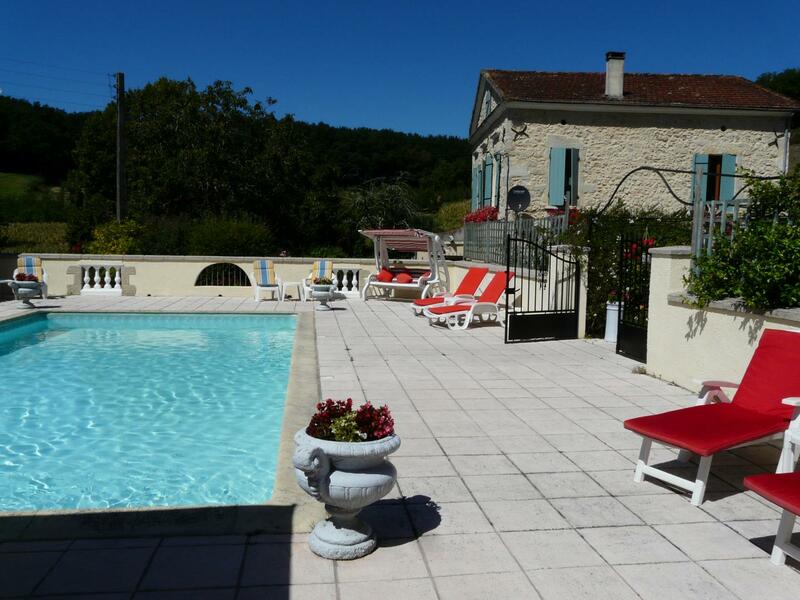 The farmhouse has been renovated in a British style and features a …. m2 open garden (no fence) and a private and entirely fenced swimming pool (12 m x 4m) with summer kitchen, arbour, garden furniture, deck chairs. This independent house features also a private terrace, with an unobstructed view over the valley. Inside, on the ground level, an equipped eat-in kitchen (oven, dish washer, hood, sink,…), a lounge with a large dinner table opening onto a …. m2 sitting room (sofa, armchairs, flat screen TV, Wi-Fi) and a shower room (shower, basin and toilet). Upstairs, 3 bedrooms (1 bed 160, 1 bed 140 and 2 beds 90), a shower room and toilet. A large yard is shared with the owners. 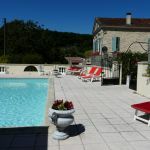 A 5-minute drive to all amenities, restaurants, entertainment and markets in Castelmoron-sur-Lot, many evening gourmet markets in the area, hiking and cycling paths, fishing in the river Lot (all types of fishing), swimming at the beach in Castelmoron, visits of sites: Maison de la Noisette (hazelnut), Jardin des Nénuphars (water lilies), many Bastides (medieval walled-towns) nearby. Piscine de 12m sur 5m entierement cloturée, cuisine d'été et cour commune avec les propriétaires. terrasse privée et sans vis à vis, côté salle à manger. Jardin non clos. barbecue.